So remember when that Gamera trailer came out during Comic-Con? What happened to that movie? There was a ton of hype, but then it dropped like a stone. Is the Gamera movie still in production? Was it just that trailer for the 50th anniversary? Will we be seeing a new Gamera movie soon? What happened? 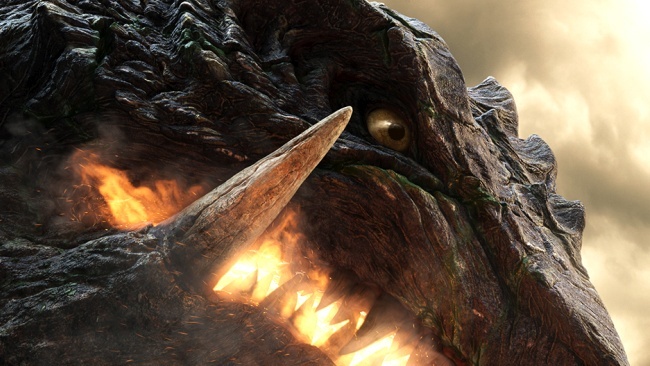 9 Responses to What happened to the new Gamera movie? Katsuhito Ishii (the director) gave the impression that the upcoming Gamera project had not yet been completely greenlit or secured funding from Kadokawa at the time, but it was still planned and he was attached to direct. The footage shown at NYCC was meant to serve as both a special video to commemorate Gamera's 50th anniversary and a sort of proof-of-concept trailer. I personally believe Kadokawa has been waiting to see how other projects (namely Shin Godzilla) performed at the box office, because that will heavily influence how much funding will be allotted to the next Gamera film. Gamera is nowhere near as bankable as Godzilla, and so Kadokawa is probably just ensuring that the film would be profitable in the current box office climate. I don't think it's happening--At least not the concept presented at NYCC. It was a proof-of-concept trailer, if it weren't for the 50th Anniversary it would have been nothing more than that. Gman2887.. I think you're right about this. But I am certain there will be a demand for it in Japan.. since Shin Gojira was and is a success. It may be all about the money as pertaining to total production costs.. or the com con trailer may have a multipurpose function. First gauge the reaction.. second.. market strategy.. third.. have footage already.. so give it a green light.. I find it hard to believe they would dip that much cash into a trailer and then not follow through with the movie.. and it is a spectacular trailer at that. it would seem to be such a waste to do so. I could be wrong about all this. But that's my theory on it. Also we need to stop pretending Gamera is heavily in demand anywhere. Gamera has never been as popular as Godzilla even when the quality of Gamera films were blowing Godzilla movies out of the water back in the 1990s. 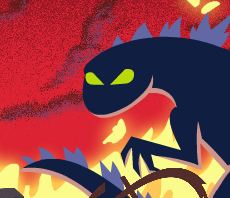 Daiei needs to convince audiences why they want a new Gamera. Otherwise they're blowing money like they did with Gamera: The Brave. ^Would love. Not sure if Legendary would find Gamera popular or profitable enough to do it. I also wonder how Toho would take such a move--I believe (though can't confirm) Legendary largely has to run everything by Toho before moving forward with their Godzilla projects. If Toho doesn't want it then that could be a road block as well. How could they not make a new Gamera film is beyond me! That's pretty much the case with any Godzilla license deal from Toho, really. Japan copyright laws are a bit different from American. In America, companies can buy property from other companies for use over a given time frame and do as they please with the property until the time frame or the deal is up. With Japan, however, no matter the contract, the original property owners still have a direct say whether something happens or not. As in, if one day the original company decides "you know what? This other company has started to treat our property incorrectly," they have full rights to cancel the deal; whether it has concluded officially or not. So yeah, with Godzilla licensing, it's basically the same thing. If Toho goes "you guys are damaging our property," they got full rights to pull Godzilla out. I would expect Legendary has to keep close tabs with them. I don't think this movie will be coming out at all. However, with the next three years being the years of the monsters (starting with this year's Pacific Rim: Uprising), there is a chance that a Gamera movie could come out. But unfortunately, it won't be this Gamera movie.